On Movement, Gaze, and Space – a Talk About the Exploration and Expression and Action Possibilities in Intermediary Spaces. 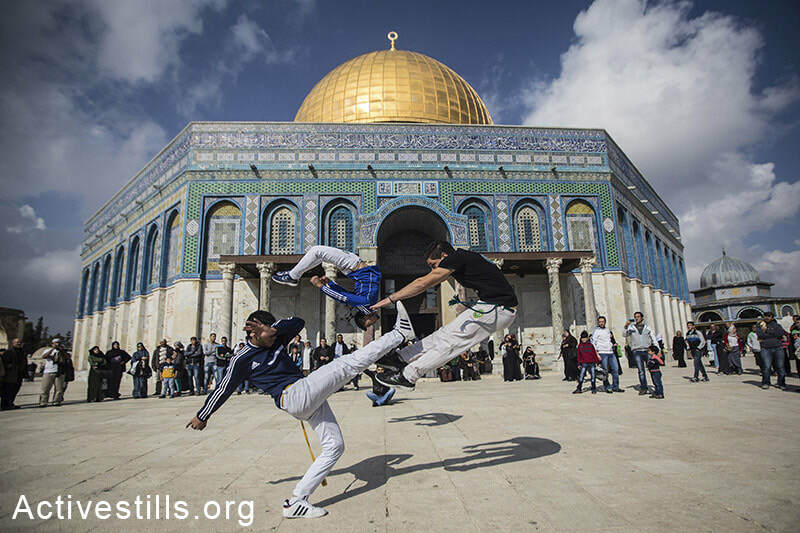 The talk will look at several projects that Barak carried out in recent years, among them the exhibition And Yet It Moves: Perspectives of Freedom of Movement (2015), and the book The Mount, The Dome and The Gaze: The Temple Mount in Israeli Culture, published earlier this year. These will be discussed as examples of liminal spaces of action, which allow creative research that slips between disciplines and between well-ordered mediums of presentation. Avital Barak is a scholar of movement and performance and PhD candidate at Tel Aviv University, School of Cultural Studies. Her research focuses on variation of resistance in manifestations of movement in the public space. She is a fellow at Minerva Humanities Center at Tel Aviv University and a Yoga instructor. She co-edited the book The Mount, The Dome and The Gaze: The Temple Mount in Israeli Culture, published in January 2018.